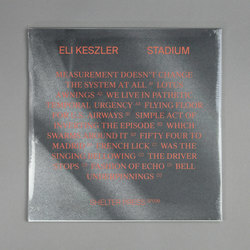 Eli Keszler - Stadium. Vinyl LP. Bleep. Eli Keszler caps a fine 2018 with a new LP for Shelter Press (Gabor Lazar, Stephen O’Malley). On Stadium the NYC-based artist uses acoustic and digital percussion as well as MIDI-fied drum triggers to create twelve quiet, charming little pieces. 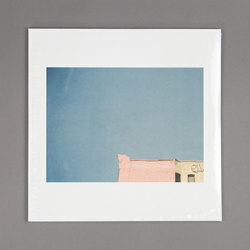 On many of the entries here Keszler’s style operates in a space between free-jazz, hip-hop, electronic art-music and the sample-heavy organic house style of artists like Gold Panda and Jan Jelinek. The little clouds of harmony that float across entries like ‘Fifty Four To Madrid’ embellish Keszler’s unshowy but impressive kit work.